Bill Rinehart, Sr. (Managing Partner) founded Rinehart, Scaffidi & Mathews in 1980, now Rinehart, Scaffidi & Rinehart, LLC. 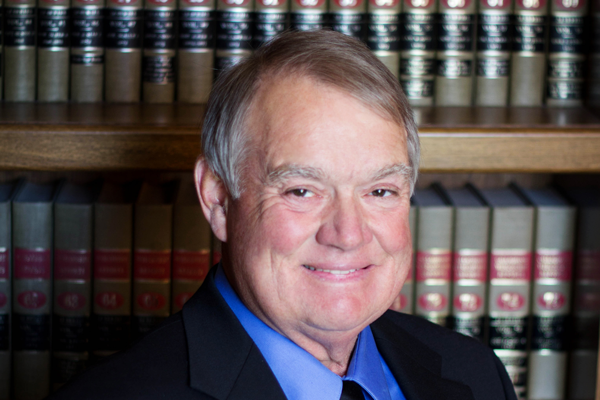 Bill Sr. has focused his practice on creditors’ rights, debt collection and contract law since he began representing local and national businesses, banks and agencies in 1972. Having served as a United States Bankruptcy Trustee for over a decade, Bill Sr. is regularly appointed as special counsel for bankruptcy trustees and in state court receiverships. When asked to represent trustees and receivers, Bill Sr. is responsible for securing money owed to the bankruptcy or receivership estate and handling related litigation matters, including investigating and litigating fraudulent transfers and conveyances. Locating account of internet debtor through coordinating purchase of debtors product and subsequently garnishing and securing over $25,000 from debtor’s depository account. Collecting over $200,000 from Wisconsin debtor, after establishing personal liability and after debtor retained counsel and indicated that it would be filing bankruptcy. Collecting over $800,000 in accounts receivables in a single bankruptcy proceeding. Obtaining and collecting judgment for subcontractor in a case involving a theft by contractor claim against the contractor. Securing equipment on behalf of Wisconsin business whose customer had failed to pay for the equipment as agreed to under the contract. Securing judgment against officers of corporation personally in a case involving theft by contractor claims. Collecting over $50,000 for client referred by out of state lawyer after domesticating judgment in Wisconsin.